top. The wavy decorative edge makes this accessory one-of-the-kind. 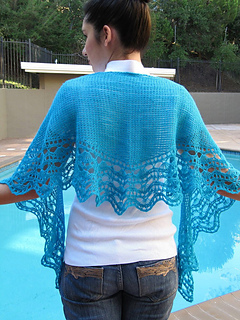 This design is part of the Tunisian Lace Crochet: Shaped Shawls eBook. Discounts or credits cannot be given towards the eBook price after purchasing this individual pattern.